Mike Mandel waxes poetic when he describes the graceful arc of a baseball card through the air. These days it’s something of a lost art, but when he was a kid and really, really into the San Francisco Giants, baseball card flipping was a native skill among his friends. 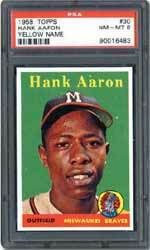 “When I got to be a teenager, my father told me I should give my collection to the kid across the street—and I can’t believe I did it!—but then later on I realized I could re-collect the 494 cards issued the year I was shooting for a complete set, 1958. I’ve got most of them now, except the ones that are really expensive.” That year, 1958, was the year Major League Baseball arrived on the West Coast, where Mandel grew up. The Giants left New York for San Francisco, and the Dodgers left Brooklyn for Los Angeles. Up to that point, the farthest west Major League Baseball had traveled was St. Louis. 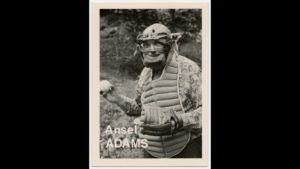 A selection of those cards are on display at SFMOMA as part of Mandel’s Good 70s solo exhibition—not as art objects in their own right, but as complements to his 1975 series Baseball-Photographer Trading Cards. 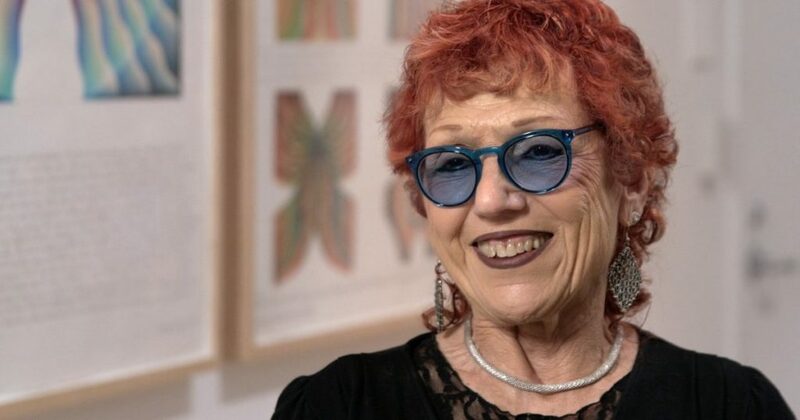 At the time he made them, Mandel had recently graduated from the San Francisco Art Institute and was noticing with dismay how quickly the photography world was professionalizing. “I remember a particular Newsweek issue—the date was October 21, 1974—that was ‘all about photography.’ Suddenly people who were doing great work were being separated into groups: those who were going to be accepted by the art world and those who would be bypassed.” So it seemed like a funny, ironic project to create baseball cards for all the “well-known” photographers, to commoditize them in his own way, and have them “play” along. Mandel traveled the country with his then-girlfriend for the project, crashing at the photographers’ houses when possible, staying at cheap motels the rest of the time. 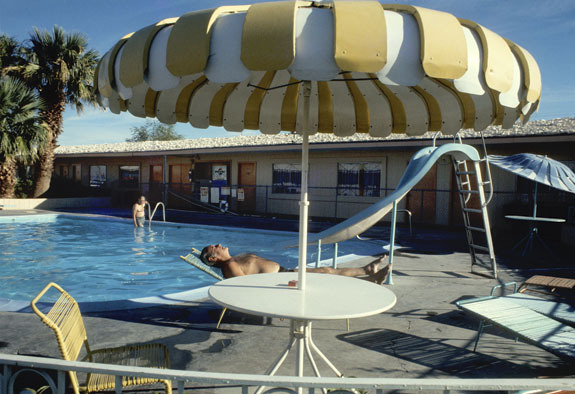 (Collecting postcards from all those motels became a project in its own right.) When he was done, he printed three thousand of each card, talked the Topps company into donating forty-five thousand sticks of gum (just like in packages of real baseball cards), and organized a group of friends for a packaging party (ten to a package—again, just like the real thing). 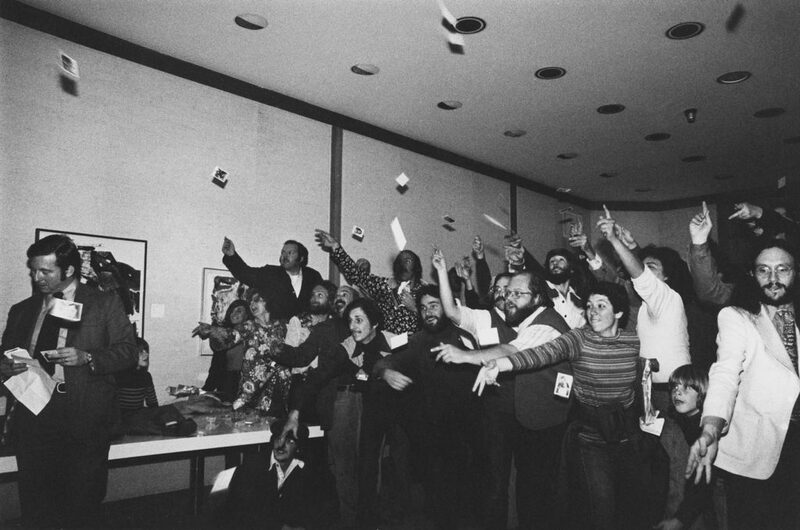 The trading card party at SFMOMA, he recalls, was memorable. Many people showed up, and some had their cards on a big framed board, or were getting the various photographers to sign them. There was a card flipping contest, and the person with the longest flip got thirty-six packs, a whole carton! Today, collectors of all kinds (including SFMOMA) continue their endeavors to amass the entire set. 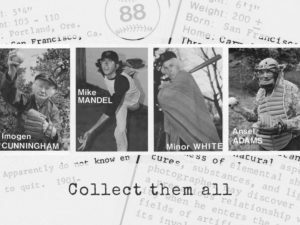 Just like the 1958 baseball cards, Mandel’s photographer cards surface regularly on eBay; impassioned completists with the time and the money can find a way to scratch the mysterious “collector’s itch.” As any collector of anything will tell you, part of the lure is the thrill of the chase — whether at a trading party with new friends or alone late at night, scouring the Internet, imagining likely artist name misspellings that might just lead to a rare find.